Very well cared for condo with good light, refinished hardwoods, newer kitchen with new appliances and a cute eating area with large pantry. Updated bathroom and fresh paint through-out with large master bedroom. 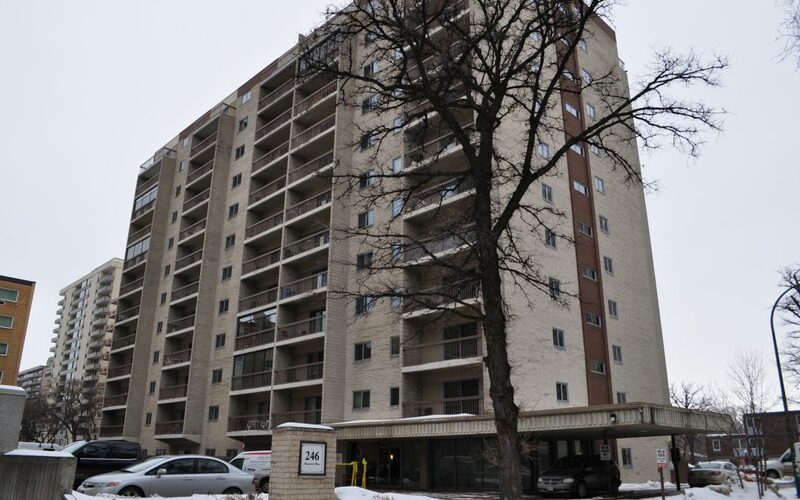 This condominium is in the heart of Osborne Village and is a concrete structure with ductwork in the floors for forced air heat and central air in the summers. Over sized balcony with new indoor/outdoor carpeting. New patio door and windows. Come enjoy a quality built condo in a high demand neighbourhood. Most updated unit currently for sale and the most affordable.